Rorschach's Journal, August 17, 2009. The city lies black and misty below me. I hear a child's scream, cutting through the night like a tire tread through a dog's burst stomach. Found child in a sleazy apartment. Turns out wasn't a child, but a full grown man. Rocks back and forth, sucking thumb... obviously disturbed. I check for injuries. Looks at face, shrieks like a bat out of hell, and runs away. Notice TV is on. On screen, I see myself, standing next to Daniel. Seems they've made a video game about us. Liberal media dragging me into their pitiful attempts to corrupt society. Still, intrigued by the concept. Pick up the controller. Feels odd in my hands. Must see if name has been marred by media agenda. Rorschach's Journal, August 18, 2009. Played game a few hours today, between breaking a mugger's collarbone and reading New Frontiersman. Must admit, looks beautiful. Hard to believe graphics have come so far, especially for a downloadable game. Shows city as it really is: dark, gloomy, terrifying. In-game Rorshach looks good. Stands with hands in pockets, just like I do. (Being followed? Must be more vigilant.) Daniel's Nite Owl suit looks authentic. Noticed he runs like a young girl: possibly homosexual? Must investigate further. Combat is satisfying. Sound of breaking bones like music to ears. Blood gushes everywhere, painting the floor and walls like ink. Pleased with how brutal my own attacks are. 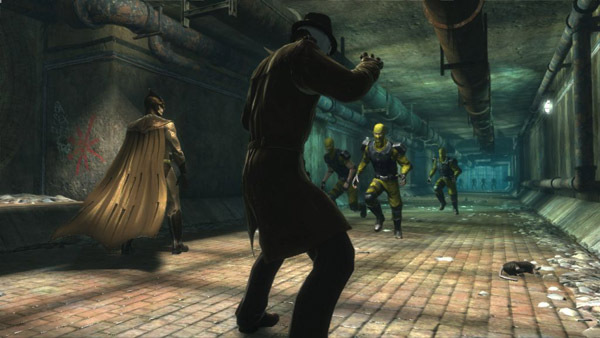 Nite Owl is slower, and uses more practiced martial arts. Pretty much the way it is in real life. Can't team up on a single enemy. Odd choice. Learned some new attack combinations, must try them out soon. Rorschach's Journal, August 19, 2009. Nursing a busted lip today. Tried one of the combinations from the game on some knot tops. Combo pretty on screen, doesn't really work. Silly to try. Should know better. Gangs don't stand around politely, watch as you cripple friend with a vicious combo. Enemies in game all look and fight the same. 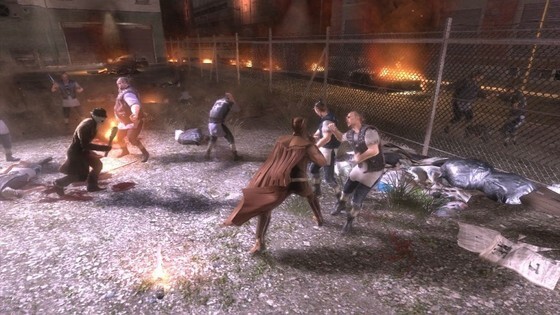 First level all inmates, second and third all gangs, fourth mercenaries, then police. Boring as anything wading through dozens of identical enemies in a row. Fancy combination moves impressive at first. Now getting tired of them. In-game Nite Owl fell off a pier, stuck between two crates. Has a grappling hook in real life, would never happen. Had to restart game. Resisted urge to break controller. Still compelled to press on. 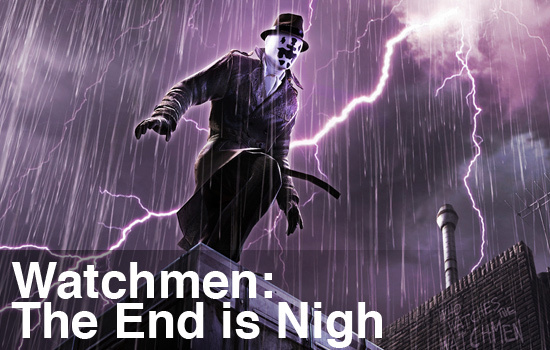 Co-Op Deal: Take A Buddy to See Watchmen... for Free!